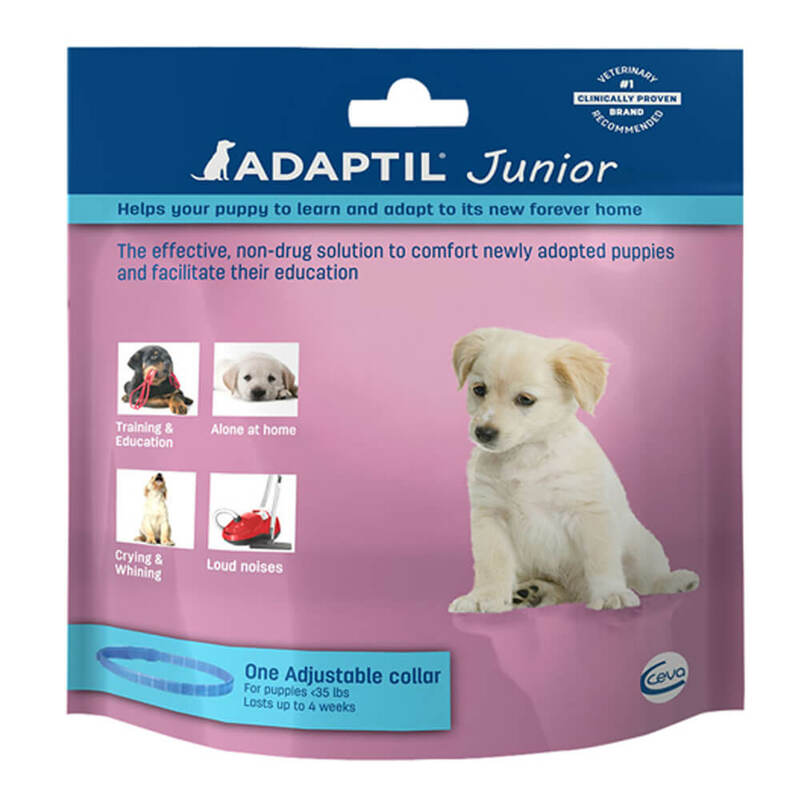 ADAPTIL Junior sends “comforting messages” to help your puppy feel the same comfort and security with your family as it did with its mother. Comforts puppies throughout the challenges of adoption and beyond: crying at night, staying home alone, loud noises. The collar helped puppies to learn better during training classes and develop into well-trained adult dogs. Clinically proven, veterinary used and recommended. One collar provides up to 4 weeks of constant support. Collar fits necks up to 14.7 inches, for puppies less than 35 lbs. Ensure continuous support for your puppy by using a new collar monthly until they are 6 months old. Fit the collar to your puppy. Make sure it fits snuggly. Leave the collar on your puppy continuously (except when bathing or grooming).